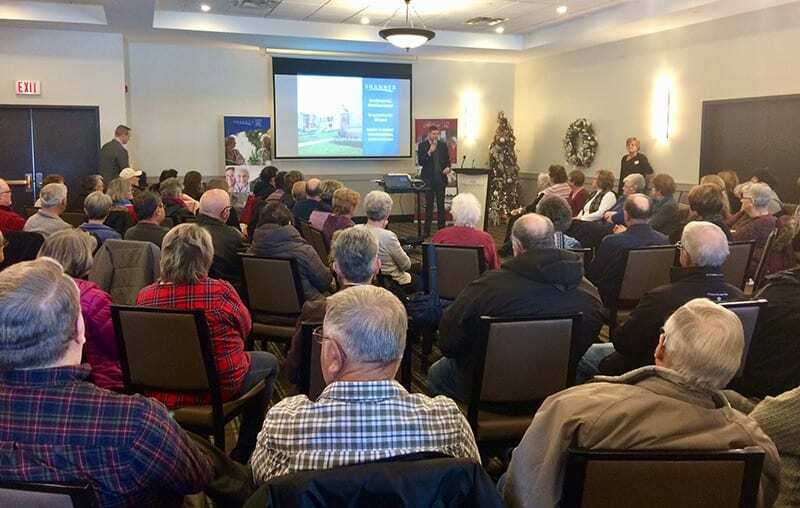 Our team at MCG Media had the pleasure of attending an information session by Shannex, the developer behind the two new nursing homes coming to Miramichi. The presentation was to inform volunteers from the existing nursing homes about what’s to come regarding the new nursing homes and to answer questions and address concerns. In addition, over a hundred people attended a public information session in the evening. Here are some highlights from the presentation. What is Shannex building in Miramichi? A 159-bed nursing home in Chatham Head – Opening in late 2019. A 81-bed nursing home in Douglastown – Opening in early 2020. Represents an additional 26 nursing home beds in total. Subject to the same standards as other nursing homes in the province. It Does NOT cost more to live in a Shannex nursing home. The department of Social Development determines the rate based on your financial assessment. When the new homes open, Shannex will be pleased to welcome nursing home employees who currently work at the two existing nursing homes and are part of CUPE and the New Brunswick Nurses Union. Shannex is also happy to report that they have completed the hiring process for additional employees. More than a dozen administrative and management staff from the existing nursing homes have accepted positions with Shannex and will join their team at the new nursing homes when they open. Several great opportunities will be posted in the coming months on Shannex.com/careers. All residents and staff will move to the new homes together. Shannex understands nursing home communities are tight knit with strong relationships between residents, families and team members. Shannex wants to ensure those relationships are maintained for the happiness of everyone. Shannex is pleased to continue to deliver service to seniors in Miramichi through three important programs: Meals on wheels, the Adult Day Program, and Lifeline. To learn more about volunteering with Shannex and supporting these programs, visit shannex.com/volunteers or send an email toinfo@shannex.com. For more information on the Miramichi Nursing Home Project visit the Shannex website.